Intel will reportedly introduce DDR4 into the market starting first with high end server CPUs, according to one source as reported by VR Zone. Desktop systems likely won’t see next generation memory until 2015 with new microarchitectures. The publication reports that mainstream Haswell 4-core systems will remain on DDR3 memory as the technology approaches 3000 speed grade. Haswell-EX 4-socket platforms will introduce DDR4 in 2014 which could very well be needed as each of the four processors on a motherboard could have up to 16 cores. DDR4 will bring with it a reduction in operating power, down to 1.2v, as well as improved parity protection and error recovery. These features alone would likely be enough to make some administrators want to upgrade. Both Haswell 22nm and Broadwell 14nm silicon utilize LGA 1150 sockets and as such, DDR3 will be used across both platforms. 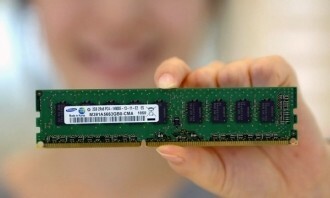 DDR4 support will likely arrive for desktop systems in 2015 but as the article points out, it’s not likely to matter much. L4 cache in Haswell and Broadwell processors will reside on a very wide low latency internal MCM bus and could function as directly addressable scratchpad memory for GPU use. The extra bandwidth should be extremely useful for the CPU as well. All of this, however, is still a ways out as Intel hasn’t even released Ivy Bridge yet (expected later this month). Ivy Bridge is the code name for Intel’s 22nm die shrink of the Sandy Bridge microarchitecture that will be the first to use Intel’s Tri-Gate transistors.